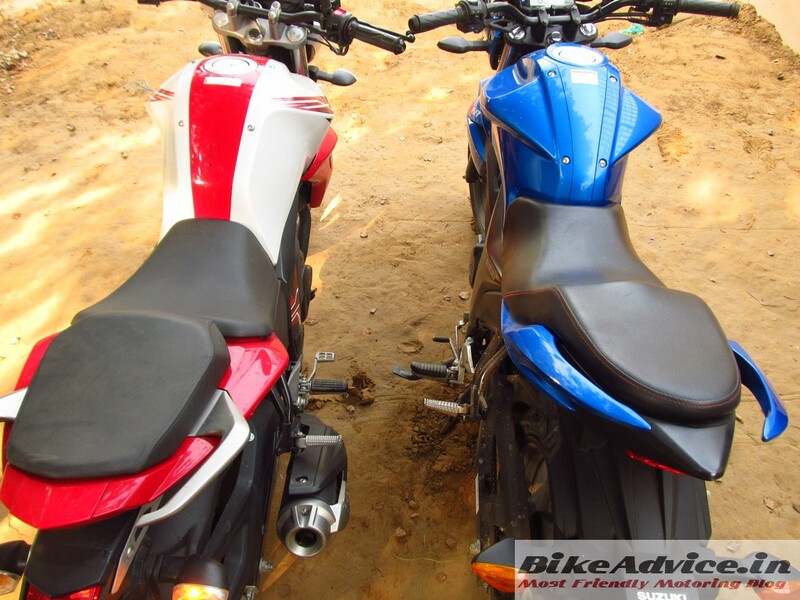 SHOOTOUT: Suzuki Gixxer vs Yamaha FZ-S: Which ONE..? 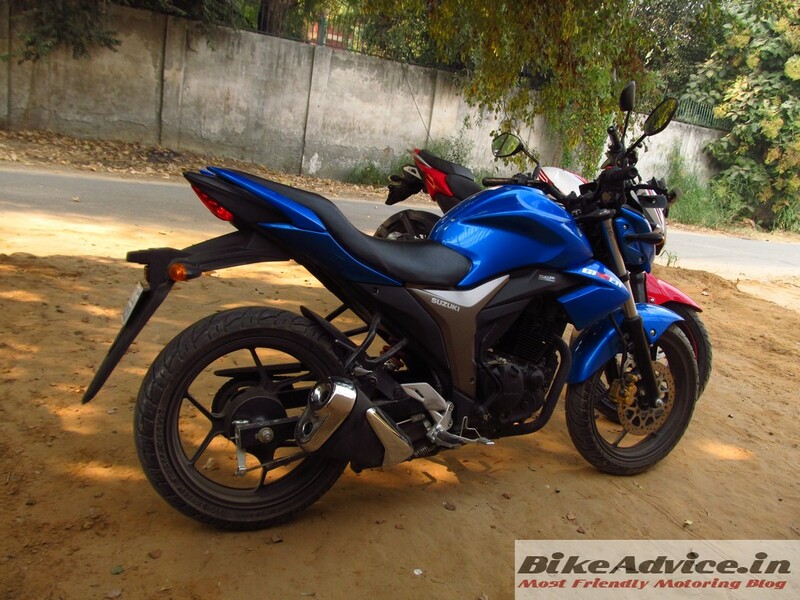 You must have read our review of the Yamaha FZ-S FI and we recently also tested the Suzuki Gixxer upon popular demand. So, ideally, going through both the reviews, one should be able to make his mind up when it comes to deciding between these two motorcycles. However, nothing clears up the doubts like a crisp comparo-shootout does, so that is what we did for all you folks out there who might still be in a dilemma as to which one among these two is more worthy of your hard-earned money. And keeping in mind that most of you would have already gone through our detailed reviews of both the motorcycles, I would keep this one really, really precise! No, the new one does not look better than the original (still on sale) – that was a flawless design! But neither can it be termed as an ugly bike by any stretch of imagination. In fact, it still looks handsome, and you won’t mistake it for any other bike, but while the owners of the previous FZ could click their pride and joy from any and every angle (and post it on their Facebook walls…), the owners of the new bike would slyly avoid shooting (no pun intended) the posterior of their new Yamaha. No such problem with the Gixxer! This Suzuki looks gorgeous from every angle. Oh yes, the tail light on the new FZ still does not have LEDs while the cheaper Gixxer sports a beautiful LED unit. 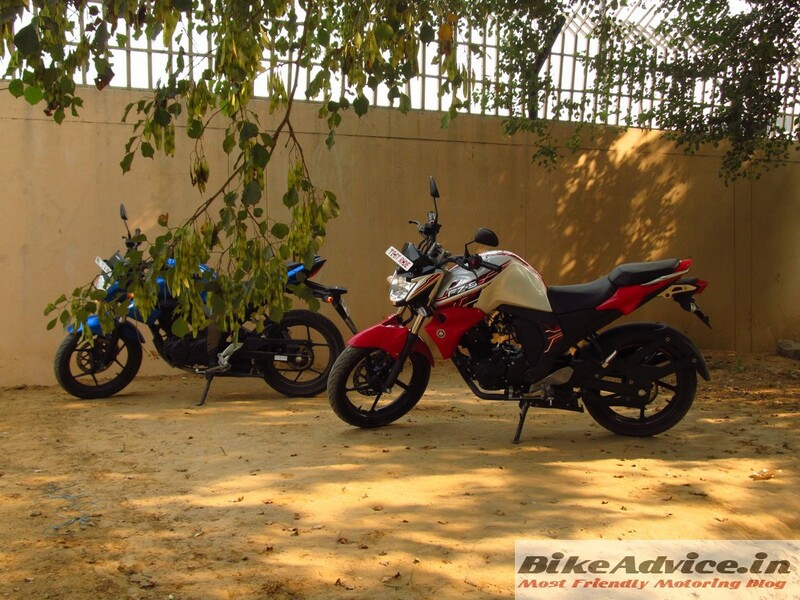 Also, it’s the Gixxer that you can buy in five single colours whereas the FZ-S can only be had in dual-tone shades. There are four options to choose from and, as I had mentioned in the FZ-S review, the Molten Orange (our previous review bike) and Cyber Green are the colours to buy if, er.., Black is your favourite. However, I would like to add here that the FZ-16 FI (not the FZ-S FI) can be chosen in a single shade of paint, and two options are available – Red and Black, which happen to be the only colours available on that bike. Also, while the previous FZ-S’s fly screen looked like a chicken’s comb, the latest one’s has been superbly integrated. 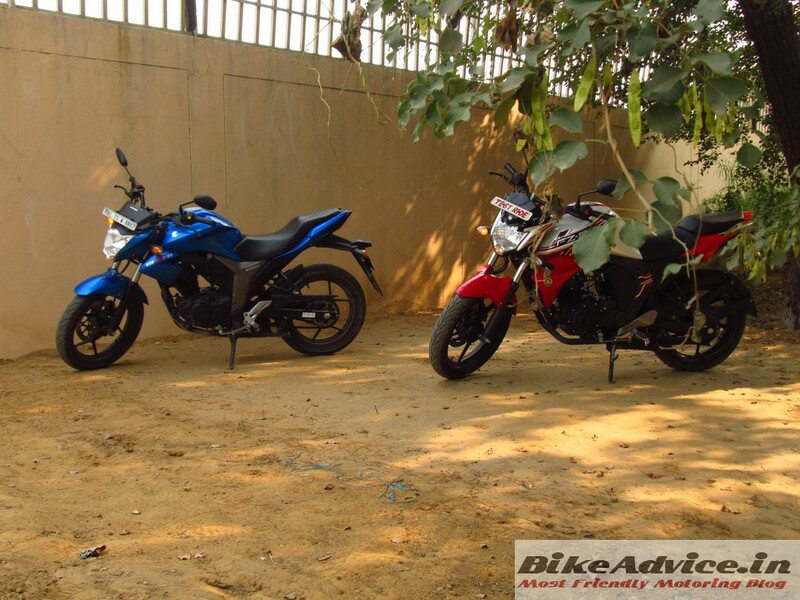 Now, in isolation, both the Gixxer and the FZ-S FI look great, and I did mention in the Gixxer review that it is the best-looking motorcycle in the segment. And my verdict hasn’t changed a bit. 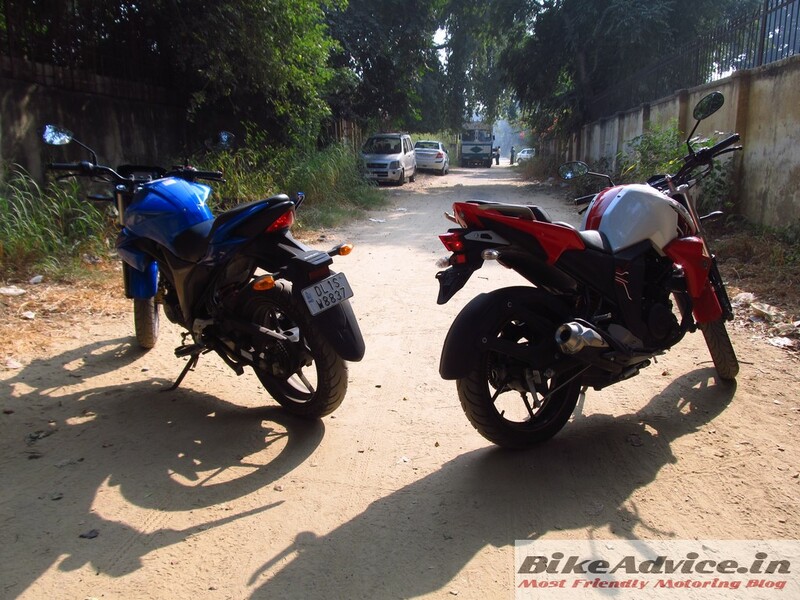 However, it’s only when you park both the bikes together that you can make a few more observations… The FZ-S FI ‘looks’ bigger, has more presence, and viewed head-on, the front-end looks more substantial than the Gixxer’s. But again, it’s the Gixxer that decidedly looks more dedicated and its sportiness becomes more evident when one looks at both bikes in profile! 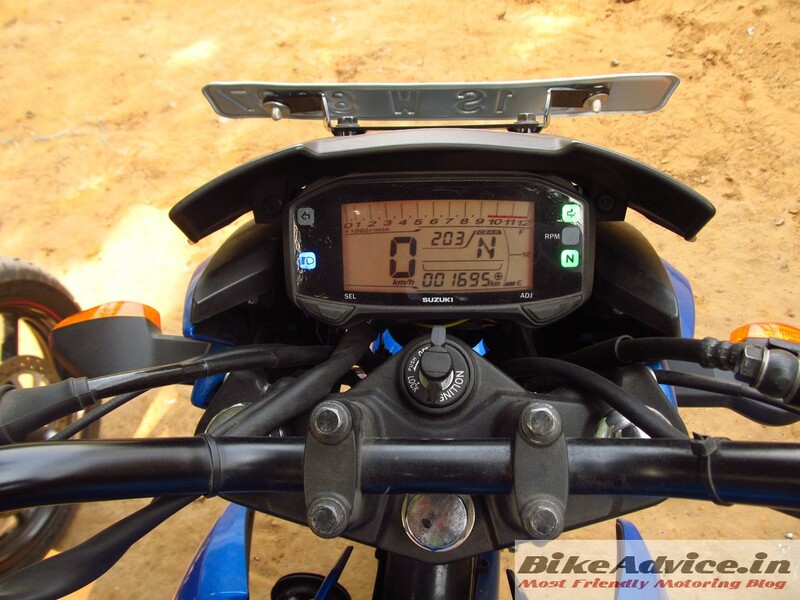 it’s the Suzuki that trumps the FZs when it comes to the information displayed in their all-digital units. 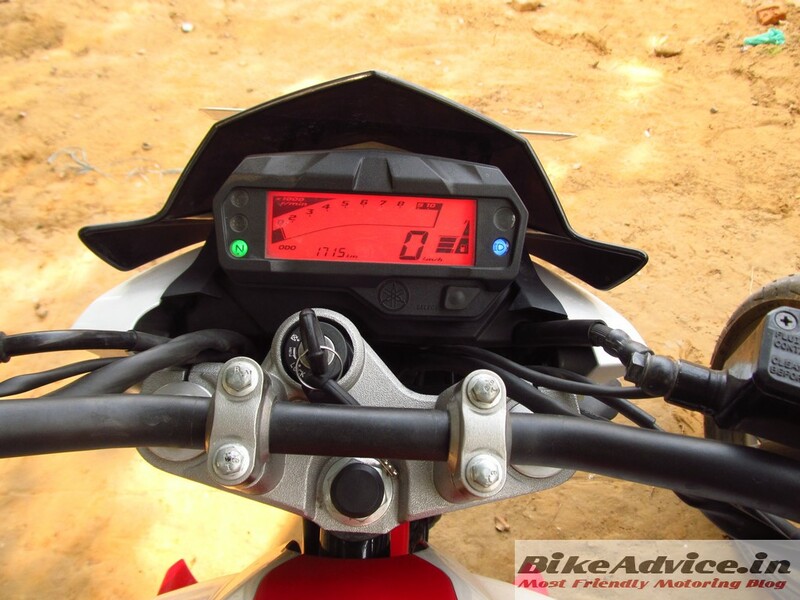 Other than the usual speed, tach, odo, etc., readouts, the Gixxer’s display shows you the time of the day and also the selected gear. And while the Yammie has an Eco-mode indicator, the Suzuki warns you through a white flasher that you either need to shift up or slow down. Also, the Gixxer gets a kicker as well in addition to the electric start, but the FZ-S doesn’t. 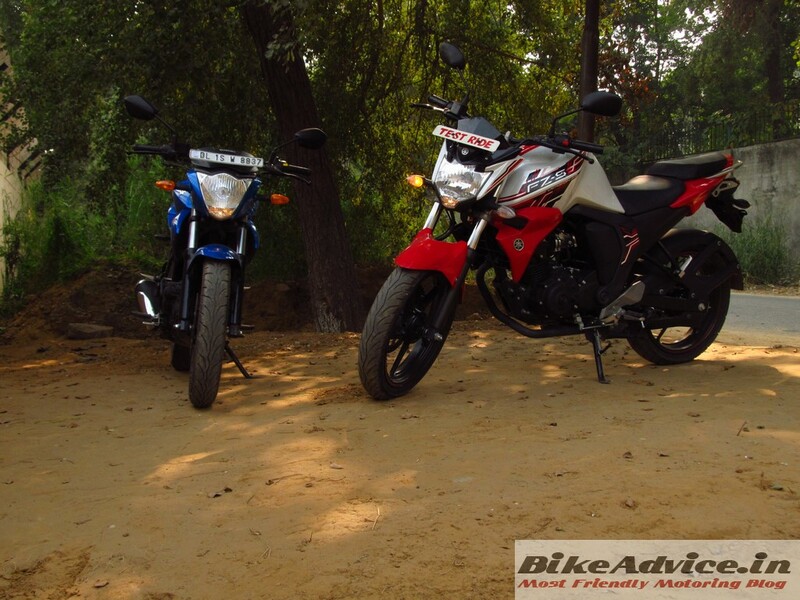 Both the bikes are well put together but the build quality of Yamaha is superior. It might just be due to the fit & finish and plastic quality of the Gixxer’s switchgear, which is certainly a notch below than the Yamaha’s, but the FZ-S just ‘feels’ more premium. Traffic light GPs will see both the bikes being neck and neck in the 0-60 km/h sprint with perhaps the Yamaha’s front wheel getting alongside the Gixxer’s front footpeg from there on until the finish, which happened at 115 km/h for the FZ-S and 116 km/h for the Gixxer on their respective speedos. Yes, that is how close they are in the real world. Also, both the bikes would see a couple of more kays on their digital displays given a longer (and empty) stretch of blacktop. Still, all said and done, it’s the Gixxer that is quicker and is faster, but only just. 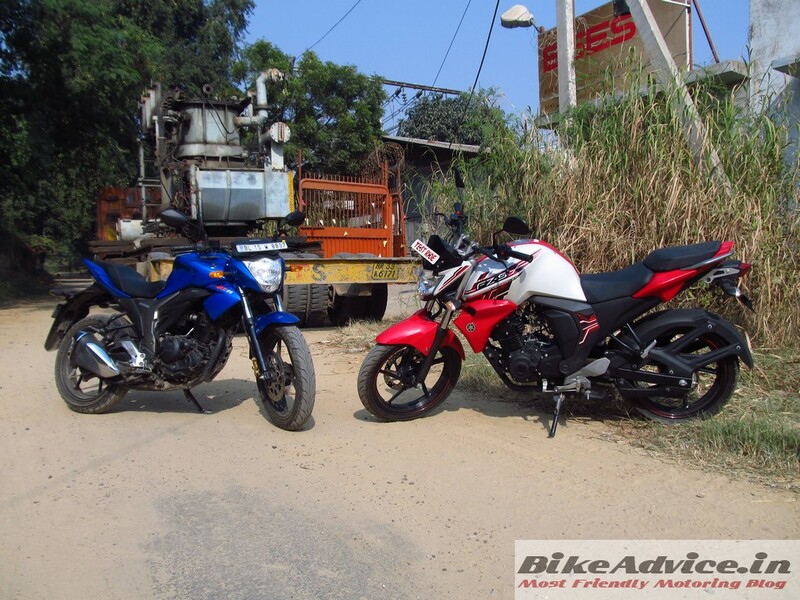 The Gixxer and FZ-S in this department together form a perfect example of how similar two rivals can get and yet remain quite different! No, that’s not a cliché, and I’ll explain the first part, er, first – both have an identical wheelbase length of 1,330 mm; both get 100/80 (front) and 140/60 (rear) section rubber on 17-inch alloys; ground clearance of 160 mm is also common, and so is a 12-litre fuel tank; both get a front disc-rear drum combo (the Yammie’s disc is a mm bigger though); both employ 41 mm front forks and a monoshock at the rear, and both offer a similar (and comfortable) riding position too. So both should ideally perform in a similar manner, right? Not necessarily! If you have read my aforementioned reviews of these motorcycles, you would be able to conclude that both these motorcycles are evenly matched when it comes to handling. And you would be correct, however, they both FEEL different. The Gixxer handles beautifully and so does the FZ-S – they both would dive into a corner without a second thought and would remain rock-solid in a straight line – but the Yamaha feels even more reassuring almost everywhere! Mind you, the Gixxer never gets nervous, be it in corners or on straights; it’s just that the FZ-S feels meatier of the two. But the Suzuki fights back by being the easier one to manoeuvre in tight spaces, despite being three kilograms heavier! It’s more effortless of the two when it comes to turn-tilt-crawl-turn-crawl to come at the front of the line at a jam-packed traffic signal. 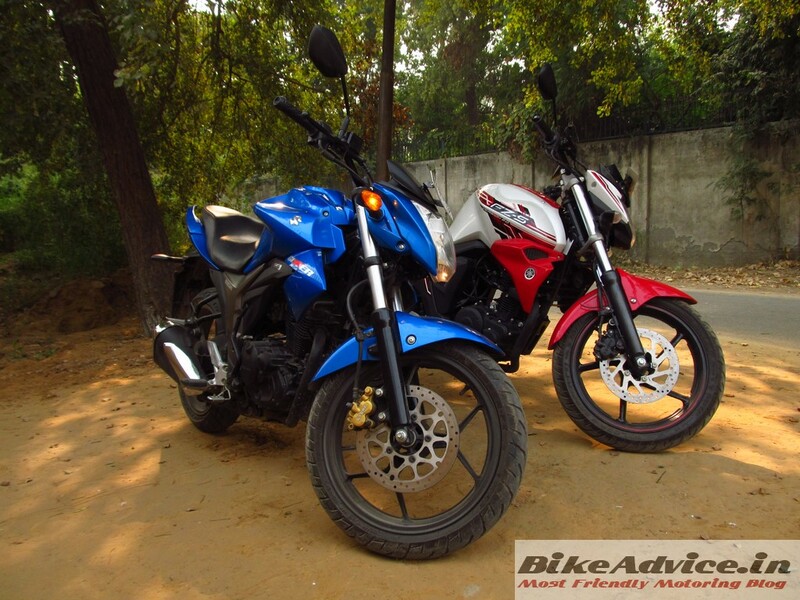 Both the bikes offer low saddle heights with Suzuki’s 780 mm high perch being 10 mm lower than even the Yamaha’s. It’s not a different story in the braking department too. 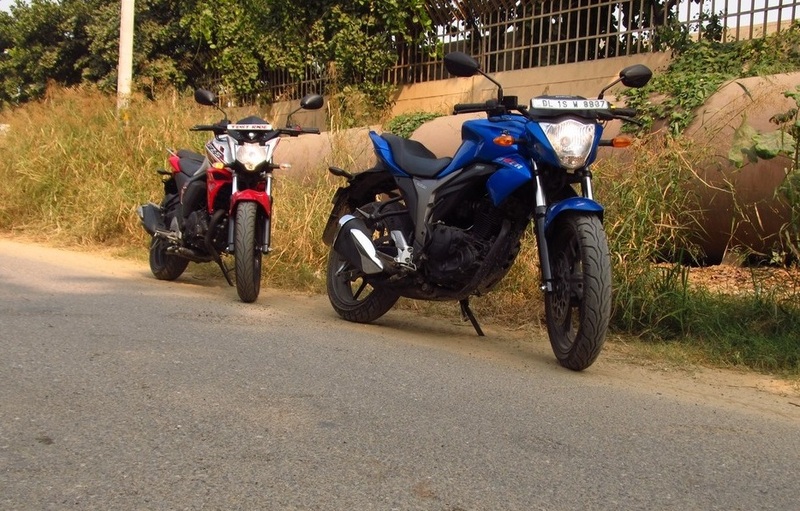 The front brakes of both the motorcycles provide great bite and feel while the rear drum of the Yamaha is half a notch better than the Suzuki’s in feel while offering a similar (and sufficient) bite. Therefore, good brakes coupled with phenomenal tyre grip in both the bikes result in confidence-inspiring braking even in the wet! The only area where you can perhaps pick one over the other would be the suspension. It’s not too different again, but it’s the FZ-S that would never bottom out with even a 100 kg pillion, whereas the Gixxer did with around 60 kg of weight on the rear seat. 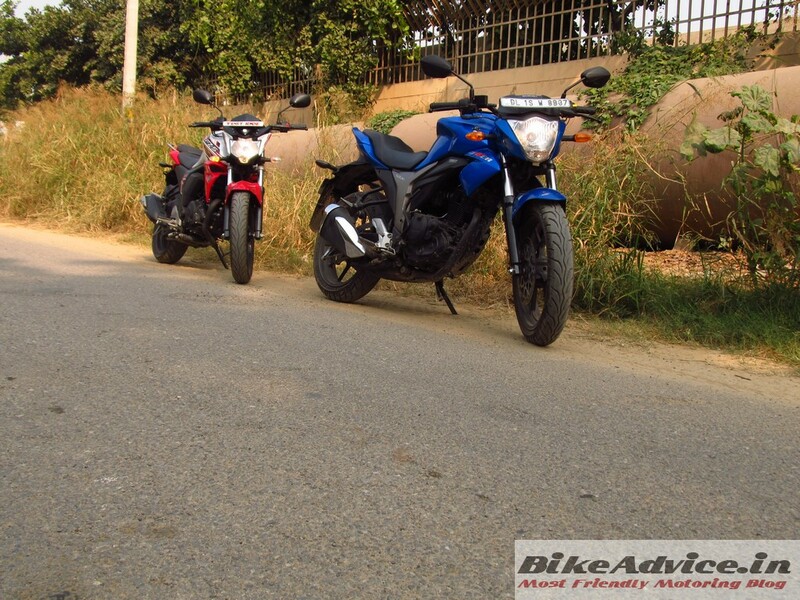 Conversely, the Suzuki is more comfortable for a solo rider over a cratered stretch of road! 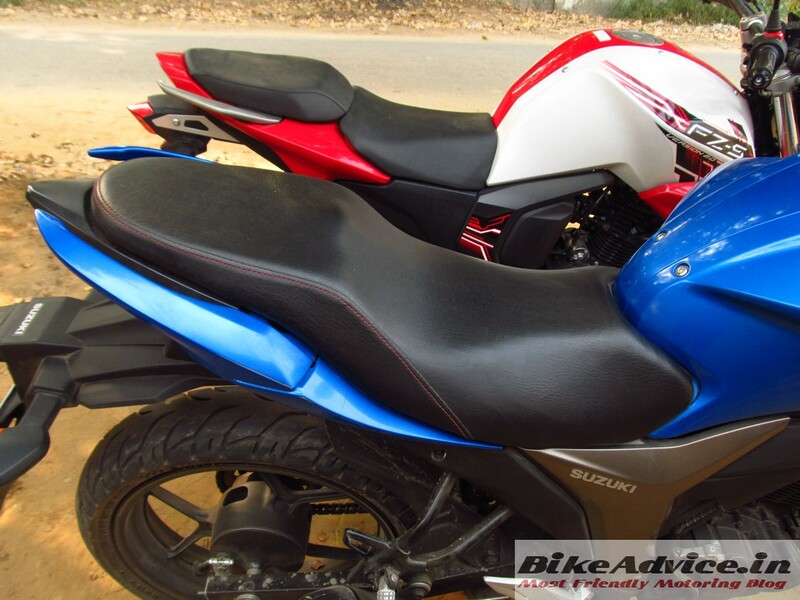 Oh yes, the separate pillion seat of the FZ-S is more comfortable than the Gixxer’s. Also, despite no romantic inclination of any sort, the pillion on the Gixxer kept sliding forward, and no, she wasn’t wearing leather pants… The texture and angle of the seat is to be blamed then. I have not missed the section on fuel efficiency because it can be discussed in a line or two here. 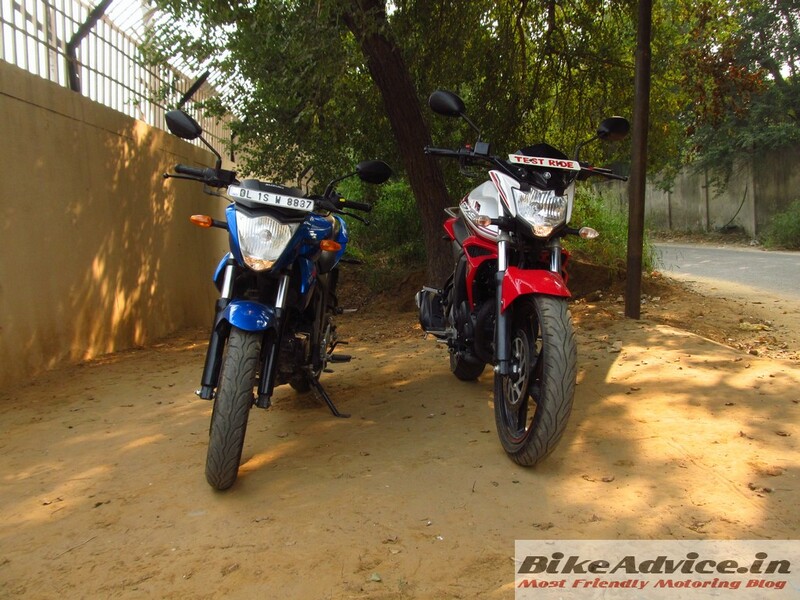 Both bikes, in a mixed cycle, will go on for around 50 km in a litre of fuel and careful riding can add approximately 8-10 km more to that figure. Yes, despite being fed through a carburetor, the Gixxer matches the fuel-injected FZ’s consumption habits. 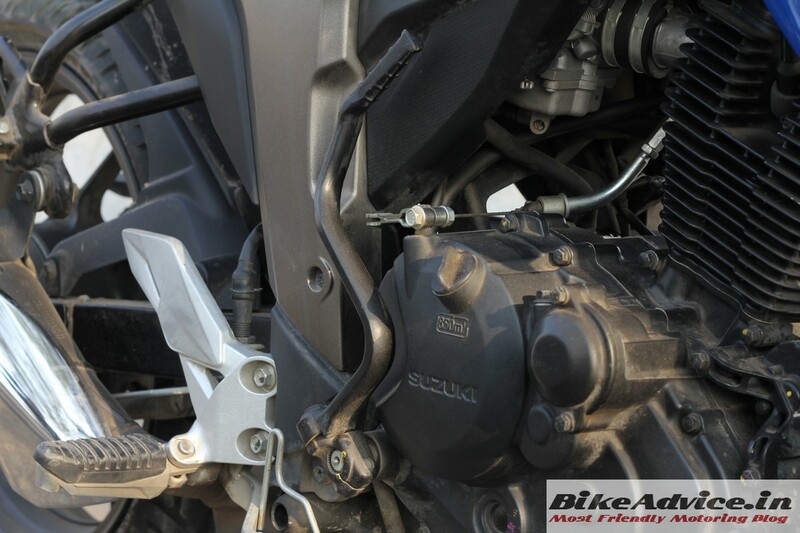 Now, to summarize, while the overall build quality of both motorcycles is on a par, the Gixxer’s switchgear plastic quality and finish could have been better. Also, the Yamaha feels more substantial and is also more comfortable for the pillion. But that is it! The Suzuki does everything else in as good a manner as the Yamaha while also boasting of the best-in-class instrumentation. It also feels lighter despite being heavier, and still does not compromise in the handling department – in fact, as I had mentioned earlier, you’d be happier on the Gixxer in maddening rush hour traffic. Moreover, we finally have a motorcycle that looks better than the FZ, and it’s not only because the new FZ is not such a cohesive design that its original iteration was! Still, it would have been a really close call, but at INR 79,809 on-road in Delhi, the Gixxer is around eight thousand rupees cheaper than the FZ-S FI and around six thousand rupees cheaper than the FZ-16 FI. 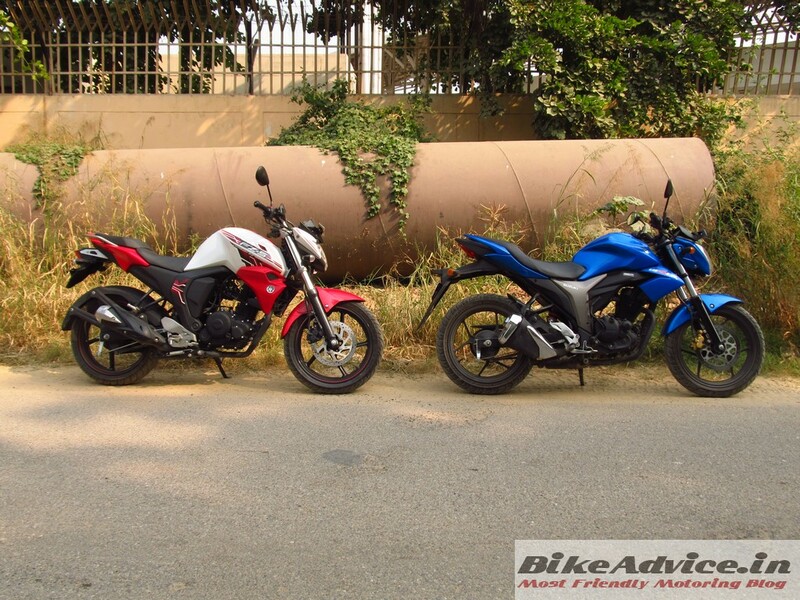 That makes the Suzuki a terrific value for money proposition and also the winner of this comparison shootout!